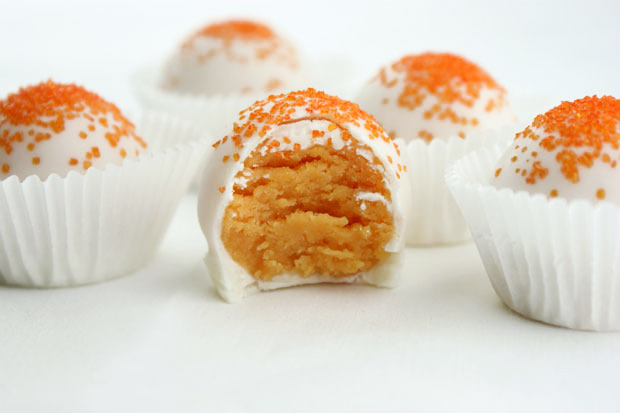 Orange-flavored cake crumbled and rolled together with buttercream frosting to make cake bites that will remind you of the popular orange creamsicle! Dip cake balls in Vanilla CANDIQUIK and place on wax paper to set. Sprinkle if desired.